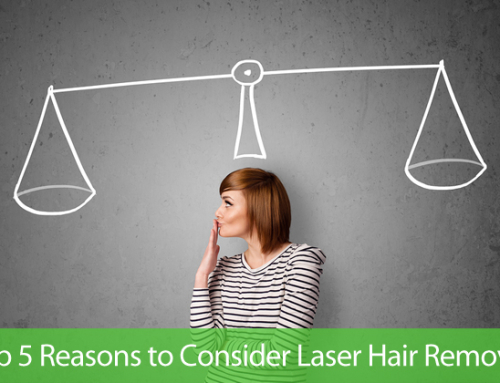 Many people wonder why laser hair removal, on average, takes 6 to 10 treatments, instead of just one visit. The answer lies in the hair growth cycle. How does hair grow? What happens during this cycle? 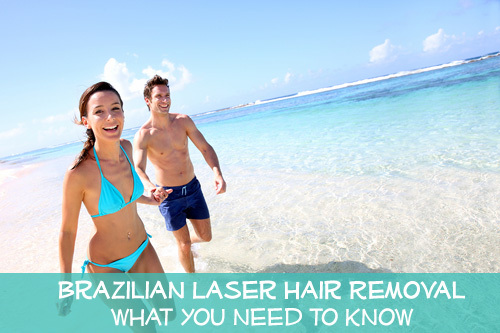 Here are the basics of the hair growth cycle, and how it relates to laser hair removal. A strand of your hair is made up of two separate parts. The shaft is the part of the hair that you see. The follicle is the part that is hidden below the surface of your skin. The shaft of a hair is formed inside the follicle, and it grows out of the follicle. The term epidermis means your surface skin. Your skin basically acts as a protective wrapping for your entire body. It protects everything inside of you from everything outside of you. It helps to keep out dirt, dust, bacteria, and other things that could make you sick. When you get a cut or a scratch in your skin, you need to make sure it is disinfected and treated, so that viruses or bacteria don’t use that as an entry point. A skin follicle is like a little indentation in the top layer of your skin, the epidermis. 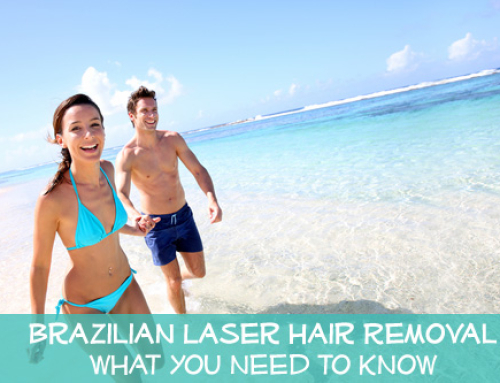 From there, it penetrates down to the lower level of your skin, which is called the dermis. It does not actually break through the skin, but instead, it just burrows a small way into the dermis layer. The dermis is the lower layer of your skin, and this is where a lot of your body’s important activities take place. This dermis layer contains the tiny blood vessels called capillaries, and it has many nerve endings, too. 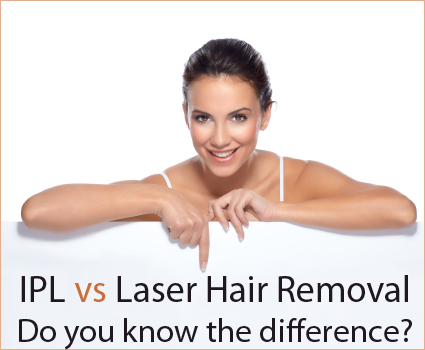 Both of these are important, because in order for your hair to grow, it needs a connection to the blood vessels and nerves. Since the follicle extends down to the dermis layer, it can provide nutrients from the blood that your hair needs to grow. The nerves provide continual feedback to the rest of your body. Hair goes through three separate stages as it grows. The growth phase (anagen) is when your hair is actually growing. At any given time, most of the hair on your body is in this phase. The transitional phase (catagen) is when the follicle rests, and cuts off the hair from its blood supply. The resting phase (telogen) is when the follicle is dormant. The hair is in place, but not growing any longer. At the end of the cycle, the growth phase begins again, shedding the old shaft of hair and beginning a new one. When you shave off a hair, you simply shorten the shaft, but it keeps growing below the surface and quickly reappears. When you use a laser treatment, it targets the hair follicle itself, so that it will no longer produce a shaft of hair. 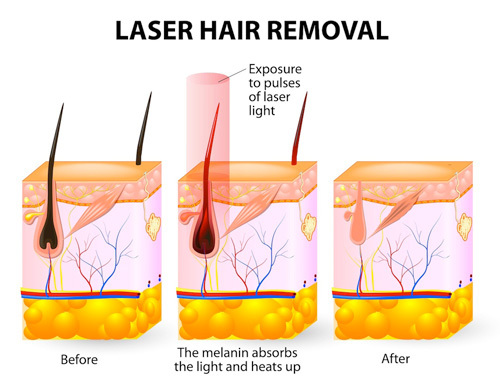 Laser treatments specifically disable hair follicles that are in the catagen phase of the cycle. Since not all of your hair is in the same growth stage at the same time, each treatment will address the portion of your hair that is in that stage at that time. 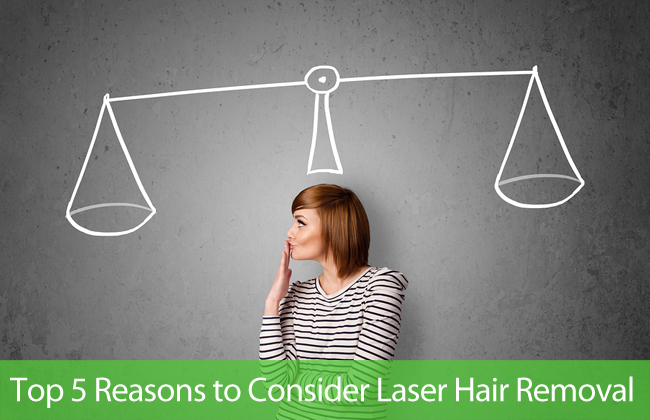 By scheduling a series of treatments four to six weeks apart, you can treat all of your hair.